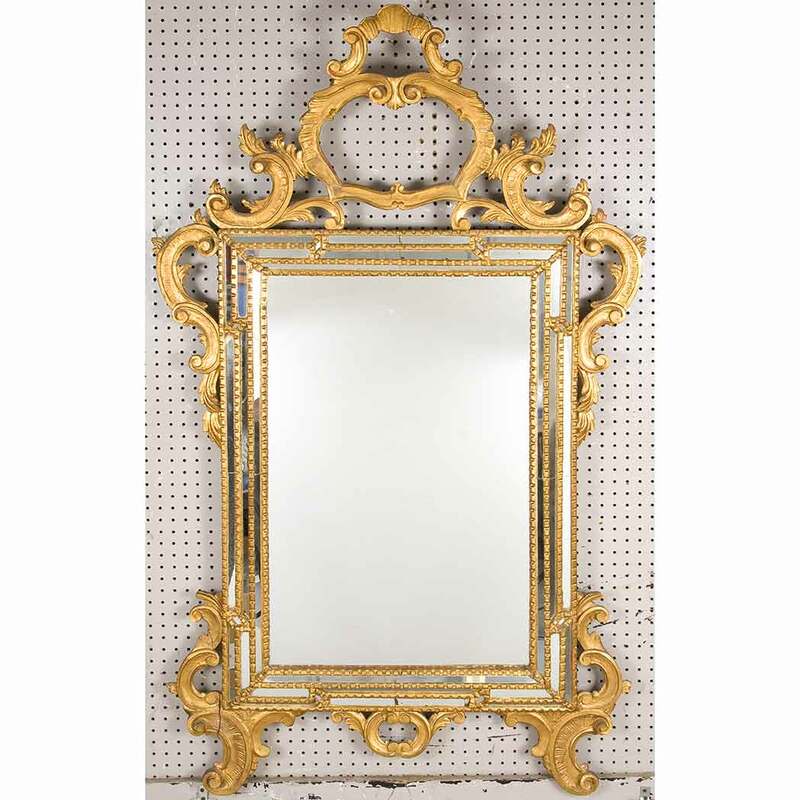 Auction Decorating: A fireplace (surround) and a mirror - cozy and glamorous! 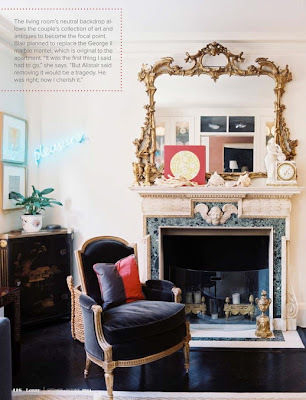 A fireplace (surround) and a mirror - cozy and glamorous! A fireplace is a wonderful focal point in any room. Add a fabulous mirror above it and you've created an instantly cozy and glamorous room. Not everyone has a fireplace, but you can still create the look with a great fireplace surround, and add candles or a gas fireplace insert. Or just fill the space with flowers! 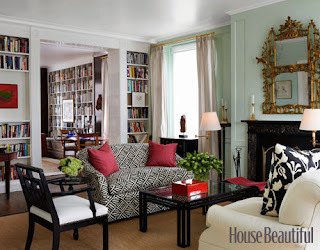 In this Manhattan home the owners and designers Alistair and Blair Clarke are blessed with a beautiful fireplace. 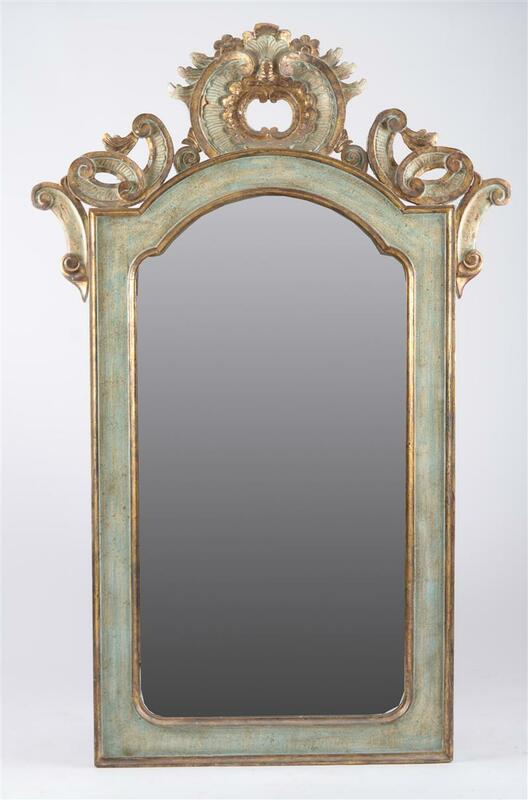 They added a wonderfully decorative Georgian style mirror that reflects back in to the room and makes it feel larger and lighter. Check out the entire Lonny spread for lots of ideas on how to mix contemporary collections with antiques. Another fabulous mirror hanging over a black marble fireplace really pops in this black, white and red color scheme. 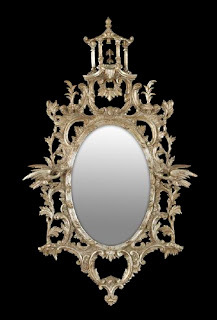 The furniture is simple, and the mirror has a very rococo. Great contrast. 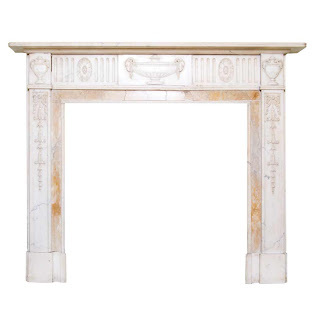 Auctions are a great place to find a fireplace mantel and a mirror that suits your style. The recent Stair Galleries auction in Hudson, NY included this American Georgian blue painted pine fireplace paneling and surround. It measures 82" x 94" and would add great architecture and color to a room. This had an auction estimate of $1,000 - $2,000, and sold for $150! 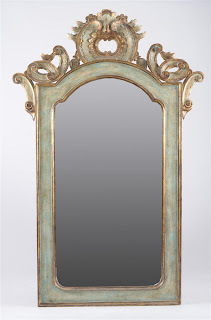 A simple Federal style mirror above would make a great look. The Stair auction also included this refined Georgian style carved pine mantelpiece. 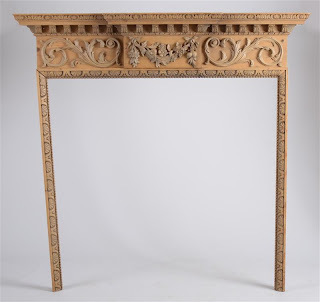 This measures 56" x 56", and has lovely classic carving. This had an auction estimate of $400 - $800 and sold for $350. This mirror caught my eye. It's simple and elegant. It's Italian rococo style carved, painted and gilt. It's a great size at 73" tall and 47" wide. This was in the Stair auction with an estimate of $200 - $400, and sold for $650. This lovely George III style marble mantelpiece sold at a Doyle New York auction for $6,500 off an auction estimate of $2,000 - $3,000. It's 19th century. Clearly it's very desirable. The carved decoration is chic and classic, and white marble is very elegant. Both the photos at the top include elaborate mirrors. This one in the September 27th Doyle New York Belle Epoque auction would be a great way to recreate the look. This is Lot 458 and measures 64" x 38". 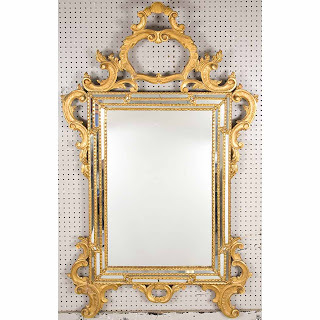 It's described as transitional Louis XV/XI style gilt wood. It has an auction estimate of $1,500 - $2,500. 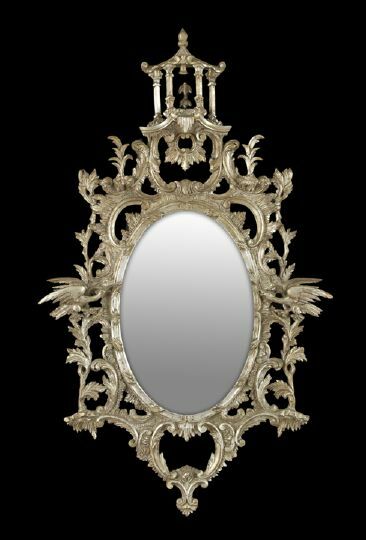 Stepping the glam factor up a notch further, I love this Chippendale style mirror from the 1st quarter of the 20th century. The Chinoiserie elements are fabulous. It measure 57" x 34" and would be an impressive addition above your mantelpiece. This sold at a New Orleans auction fro $2,460 off an auction estimate of $700 - $1,000. 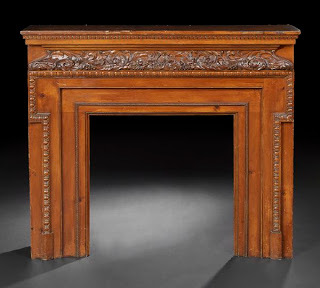 This substantial cherry wood Aesthetic movement fireplace mantel is impressive. It commands attention. This sold at a new orleans auction for $1,722 off an auction estimate of $1,500 - $2,500. It measures 47" tall and 54" wide. 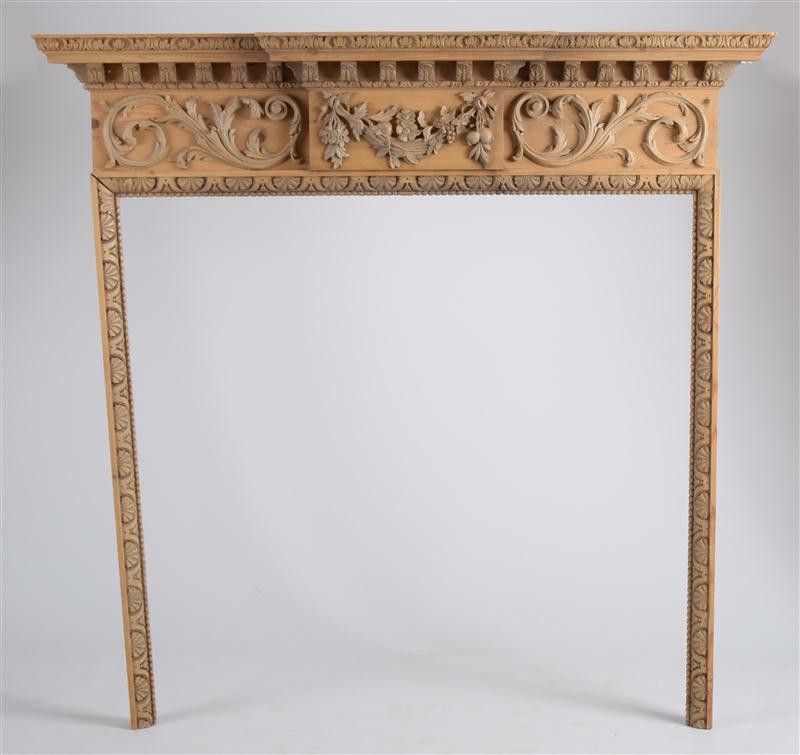 A gilt wood mirror above this mantel would make a wonderful pairing. 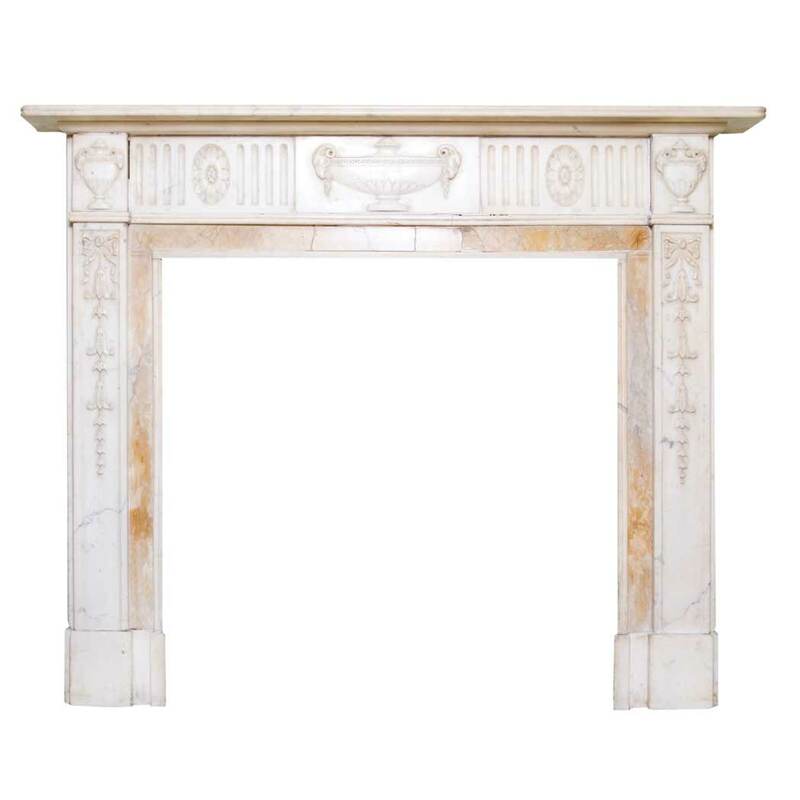 There are many options in terms of style and price range for both mantels and mirrors available at auction. When choosing, they need not match in terms of period, but should just form a fabulous focal point for a room. The more elaborate they are, you might choose simpler furniture for the rest of the room. The fireplace and mirror will set the style.